Linda Vista Market, a small Central American food market, is now sourcing local fresh produce grown and picked just two blocks away! 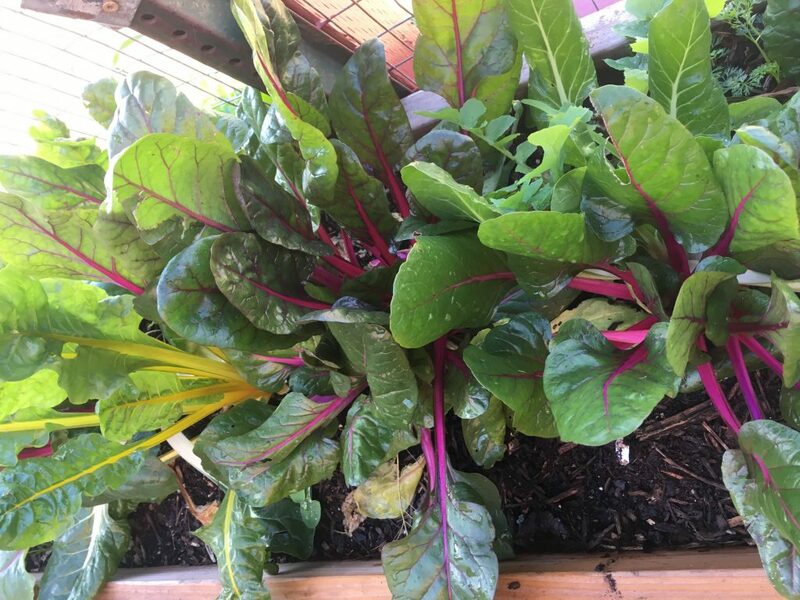 Market owner, Reyna Alecio, has partnered with urban farmer, Amy Zink at Bayside Community Center’s Urban Farm, to buy locally-grown swiss chard, cilantro, mint, and radishes. Bayside is now growing an entire vertical wall of cilantro for the market. This partnership was made possible by the hard work of Urban Food Environments Project Coordinator, Kate Mahoney, who provides hands-on technical assistance to our participating markets in the Live Well Community Market Program and to San Diego’s urban growers participating in our Urban Growers’ Collaborative Project. Pick up some fresh tortillas along with your produce at Linda Vista Market or stay for a meal! 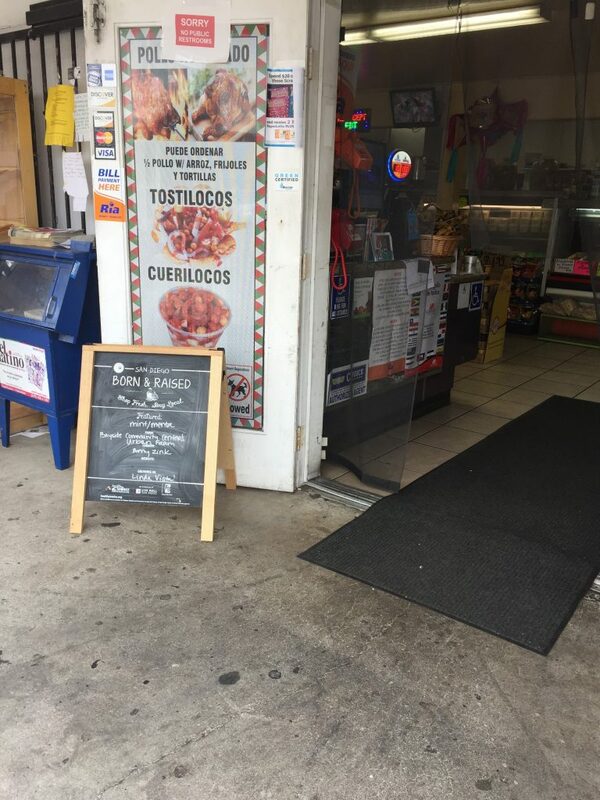 They prepare tasty tacos and other specialties onsite at their taqueria. 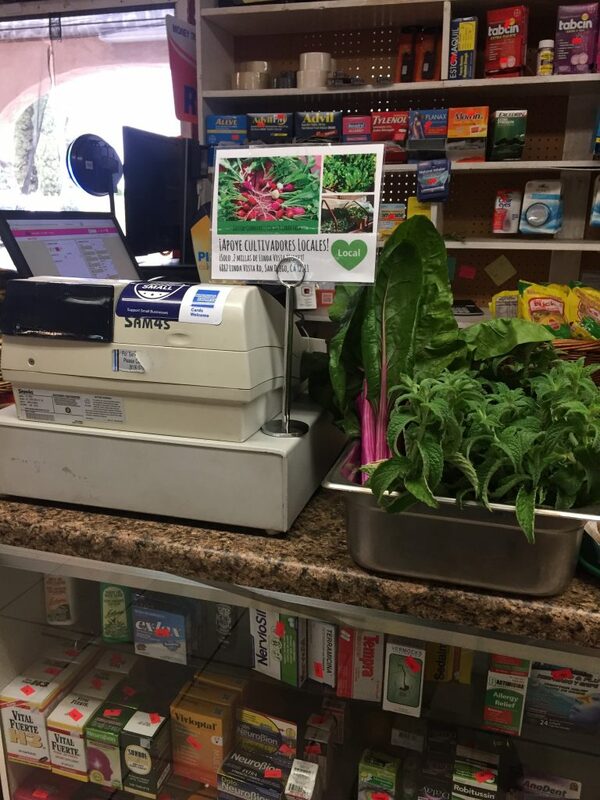 For funding information, see Live Well Community Market Program. 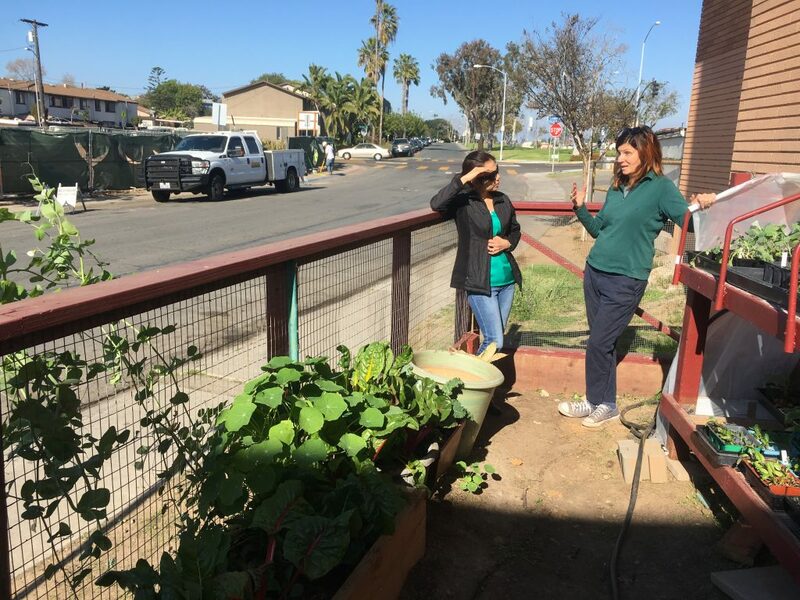 Previous Article: The First Bilingual Walking Route Launches at Altman Plants, Inc.
Next Article: City of Hope International Church is Planting a Garden!